There may be no more critical implementation of a PACS system than those deployed on the battlefield such as those used in the Afghanistan and Iraqi wars. Consequently, when Medweb dispatches engineers to the frontlines to install or support its field PACS systems they need to have the knowledge base to troubleshoot any problems on their own. For that reason Medweb’s CEO Dr. Pete Killcommons requires his engineers to be PARCA certified. To learn more about the critical role PARCA certification plays in this company’s success PARCA e-news spoke with Dr. Killcommons by phone. As a physician he understands the interdependence of medicine and IT in modern practice and founded Medweb 20 years ago to address the needs of soldiers and civilians in conflict and disaster zones using telemedicine. 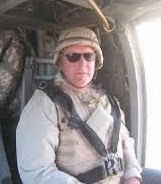 He remains the only CEO of a major telemedicine firm to personally travel throughout active conflict and disaster zones, gaining extensive firsthand knowledge of the transformative potential of telemedicine on the frontlines for soldiers and civilians alike. For his dedication, The American Telemedicine Association honored Dr. Killcommons with its Industry Council Award last May. Cinncinnati, Jan. 2, 2014 – Are structure radiology reports the next standard goal to be developed and implemented? Dr. Alexander J. Towbin, MD, chair of Radiology Informatics at Cincinnati Children’s Hospital in Ohio, developed a standardized reporting system that is now used at his facility. Dec. 16, 2013 – DiagnosticImaging – Representatives from the ACR detailed at RSNA 2013 five hot topics of concern for radiologist in 2014. A concise look at the issues facing radiologists in the coming year. Is Your Radiology Practice Tech-Savvy Enough? CHICAGO, Dec. 09, 2013 — DiagnosticImaging – If you have a RIS and a PACS, congratulate yourself, but not too much. So doesn’t everyone else? The real questions you should be asking, said Paul Nagy, PhD, director of quality in the department of radiology at Johns Hopkins University in Baltimore, are how old are those systems and what could you be doing to take advantage of available developments in technology? Dec. 6, 2013 – Healthcare Informatics – At Mayo-Mankato, Ernest Beaupain has been helping to lead a broad initiative to improve critical test results reporting in the radiology area.